Govs Arts Students Win 67 Massachusetts Scholastic Art Awards! Update: McLean Sherrin ’15, Shawn Robertson ’16, Brandon Benson ’16, and Paul Holloway ’18 recently earned National Medals in the Scholastic Art and Writing Awards competition. These awards are the highest honors given to high school artists in the nation. Three of the four National Medal winners are varsity athletes at Govs. Sherrin won a Gold Medal for his mixed media piece, Robertson won a Gold Medal for her drawing, Benson won a Silver Medal for his ceramics sculpture, and Holloway won a Gold Medal for his ceramic pot. These four students will be presented with their awards at a ceremony at Carnegie Hall on June 11. Their artwork will be displayed in New York City throughout the summer. This marks the fourth year in a row that Govs students have earned National Medals in art and writing. In the past 16 years, Governor’s students have won a total of 16 National Medals in art (seven ceramics, five photography, four studio art, and two in writing. 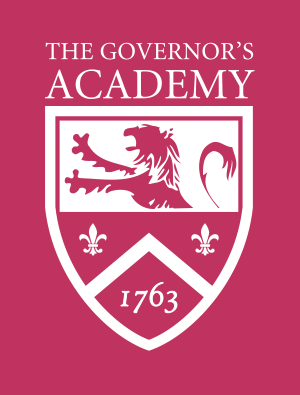 The Governor's Academy continued its record setting trend in the arts this year, winning a remarkable 67 awards in the Massachusetts Scholastic Art Awards competition. This is a new Governor’s record, beating last year’s impressive 57 awards. 44 Govs students won awards in four disciplines: ceramics, studio art, photography, and film/animation. Govs artists won 19 Gold Keys, 16 Silver Keys, and 25 honorable mentions. Seven arts students won awards for their Portfolio work, which is considered the most advanced level of art in the Scholastic Art Awards competition. To view a gallery of the winners artwork, click here.